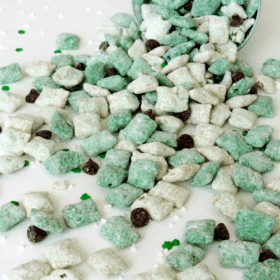 So with St. Patrick’s Day coming up, I’m really fired up for some Baileys treats. I’m a fan. And I’ve been making this bunt cake for years now. Back when we lived in South Florida it made an appearance at my old job every year. It was one of my co-worker’s birthday and she always requested it. I made it this week hoping to take it to our small group. I guess I made it a little too soon though. 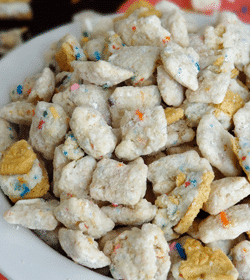 The hubs normally doesn’t demolish a cake – he prefers cookies and puppy chow. But he surprised me this week. It blew me away how quickly he went through this thing. I was lucky to have half of it left. I cut it into slices and laid them on a plate so it wasn’t so obvious that there was only half a cake left. Whoops! And it really is the perfect thing for St. Patty’s Day. I’m not foolin’ around with the Baileys. There’s a solid 1/2 cup – you definitely taste it. It’s not like there’s a kick or anything but there’s no mistaking it’s presence. It’s the perfect amount of Baileys flavor. And the Baileys glaze is to die for. Just Baileys and powdered sugar. I want to drink it. 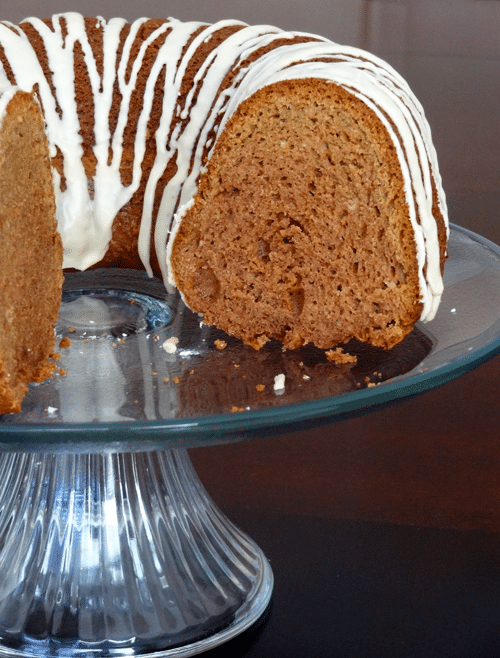 The cake is really moist and so easy to make too. It starts with a box mix and pudding mix, so it’s about the easiest cake you can make. And since it’s a bunt cake you don’t even have to worry about trying to icing it all fancy. Just pour on the glaze. The perfect quick, easy and crazy good Baileys cake. 1. Combine cake mix, pudding mix, oil, vodka, Baileys and eggs in a bowl and beat until smooth. 2. 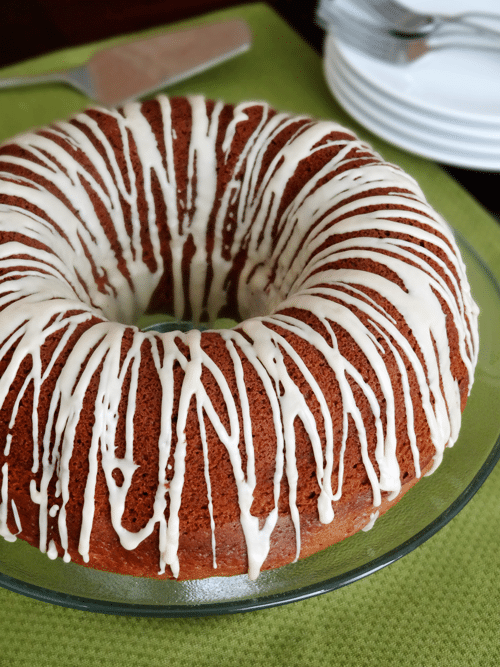 Pour into a greased 10 inch bundt pan. 3. Bake at 350 degrees for 40 to 50 minutes or until done. 4. Allow to cool and remove from pan. 5. 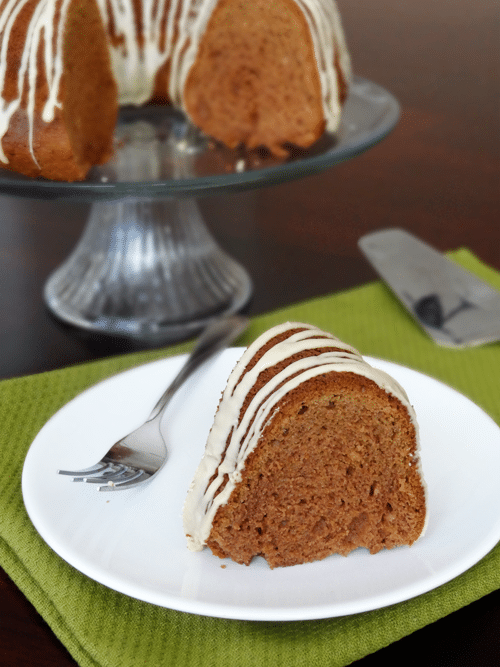 Whisk together the Baileys and powdered sugar for the glaze and drizzle over the top of the cake. Gorgeous bundt cake. 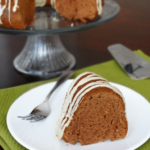 I have a Bailey’s cake recipe that is very similar, I think I need to make it in a bundt pan!!! YUM. The Baileys frosting is so beautifully done. It reminds me of a Jackson Pollock painting! what temp do you set the oven to? Oh gosh! I’m sorry! 350 degrees. Without vodka, what extract can be used? If you don’t want to use vodka, you can just use water. Any good suggestions for making the glaze without the Bailey’s? I want to make this for my husband’s birthday, but I want my 2 year old son to be able to have some, as well as my dad who doesn’t like alcohol. Thanks! It looks delicious and I’m looking forward to making it for him! Ive had this before and it was so good. I’ll try to make this. Do I have to preheat the oven? And can I use the chocolate pudding in a cup? Thanks! Hi Lou! You will want to preheat the oven. And you actually will need the dry box pudding mix. You actually add the dry mix right to the batter, without actually making it into pudding.